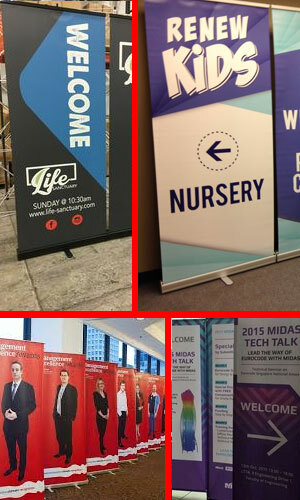 Banner stands are not just for trade shows and conventions. 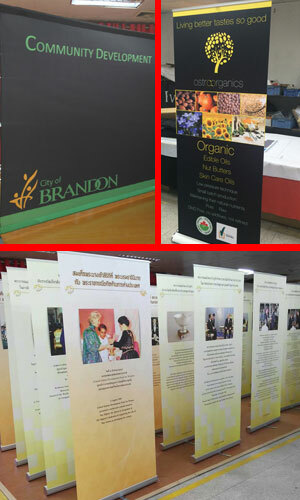 Banner stands are an easily portable type of display that are commonly used for advertising and/or information at events, retail stores, press conferences, presentations or any place you need a portable, professional looking display that is quick and easy to set up and take down. 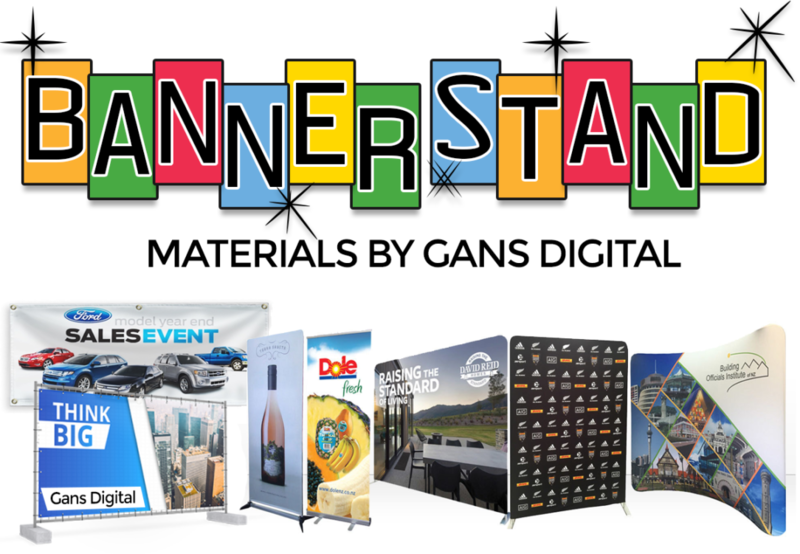 Gans Digital has every type of Banner Material that will work great for your client’s next project! For more information or to take advantage of our everyday low prices contact Bill Day at bday@gansink.com or call us at 210-886-8236. 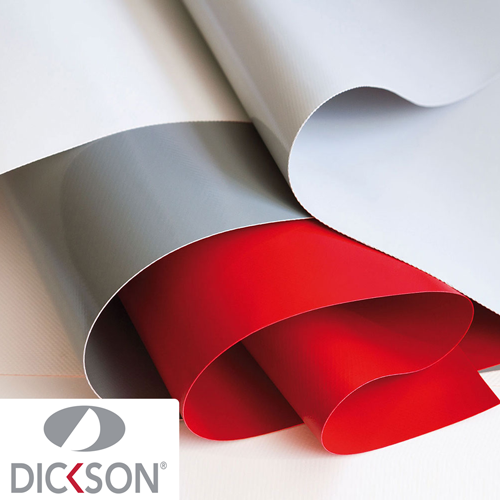 For over 50 years, Dickson Coatings has been producing and supplying PVC coated fabrics around the world. Gans is proud to be Dickson Coatings’ exclusive partner in several US Markets. 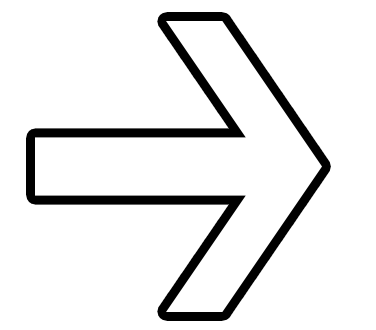 Dickson Products are renowned for their weldability and flexibility. Dickson’s expertise, precise manufacturing, uncompromising choice of raw materials and rigorous quality control provide total satisfaction throughout the life of the fabric. A 100% Polypropylene material with a grey back, lay flat coating for additional opacity. These product are ideal for a multitude of applications including trade show graphics, POP displays, long term indoor banners and short term outdoor banners. It is a cost effective alternative to polyester materials, and have a bright white finish and micro-porous coating, creating greater color contrast than similar products. 8 Mil Matte Roll Up Film w/Grey Back. Comes in 36”x100’ and 60”x100’ rolls. 11 Mil Matte Roll Up Film w/Grey Back Non-Edge Curl. Comes in 36”x75’ and 60”x75’ rolls. 9 Mil Textured Satin Roll Up Film w/Grey Back LOW EDGE CURL. Comes in 36”x150’, 54”x150’, and 60”x150’ rolls. 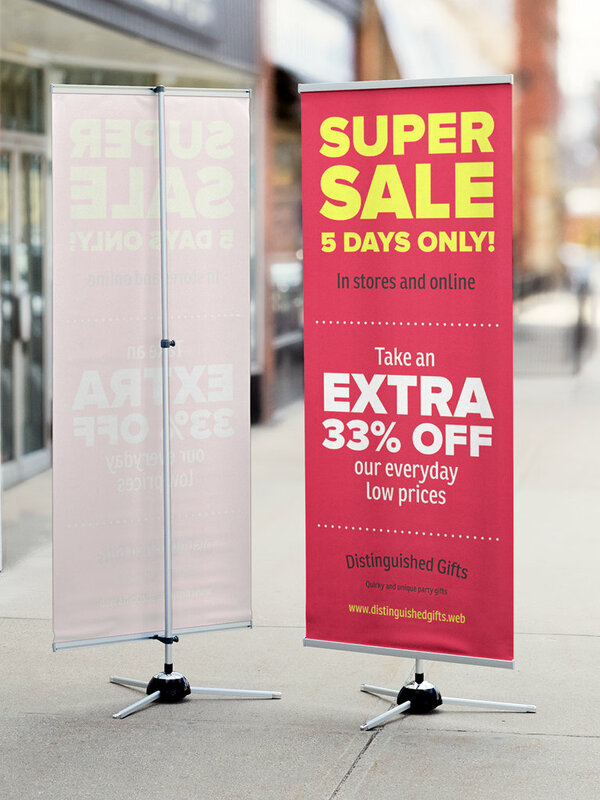 This hybrid film creates a perfect stay-flat, low-cost banner stand solution. This can also be used in environments where excessive light is an issue, as it is available with a dark gray back for complete opacity. Smooth, matte finish for no-glare images. Water resistant and durable. 8 Mil Satin Polypropylene Film that comes in 36” x 100’ & 60″ x 100′ rolls. A premium 13 oz. front-lit banner material. Its 1000 x 1000 denier creates a high strength and tear resistant banner. The fire retardant coating allows it to be used in all environments. Available in matte and gloss finishes. 13 oz. 1000×1000 Matte Banner that comes in 38” x 150’, 54″ x 150′, & 63″ x 150′ rolls. 13 oz. 1000×1000 GLoss Banner that comes in 38” x 150’, 54″ x 150′, & 63″ x 150′ rolls. 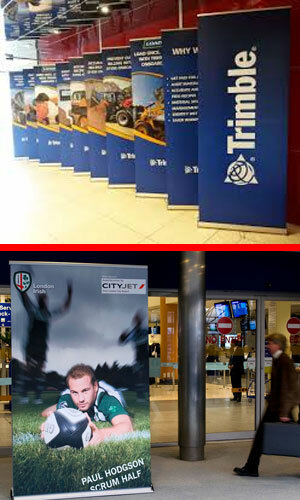 A flexible PVC scrim banner material, it is smooth on both sides and offers dual-side printability. The bright white finish increases image pop, and it is scratch resistant and highly water resistant, as well as fire retardant. 2-Sided Smooth Blockout Matte Banner that comes in 38” x 100’, 54″ & 100′ & 60″ x 100′ rolls.